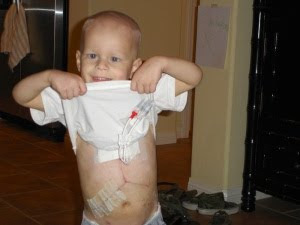 Who battles Liver Cancer with a smile? I learned about Carter, the CRUSADER, from my friend Erin over at Bringing Up Burns. She told me about her good friend Kara and how her 22 month old son was recently diagnosed with liver cancer. Carter is an amazing 2 year old that has been a true CRUSADER these past 5 months. He's several weeks post transplant and doing great! His hair is even starting to grow back. A few weeks ago Carter even became a BIG BROTHER! Click here to read his entire story! When Erin asked me to help by donating a portion of my Etsy sales to the Carter's Crusaders I was absolutely honored to be a part of such a great cause. 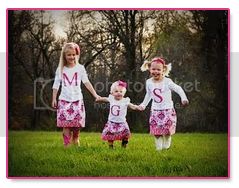 I know how difficult it is as a Mom to struggle when any of my girls are sick or hurting, so I can't even imagine what Kara and Matt are going through right now. Please join me in raising money for the Children's Hospital of Orange County Walk in Disneyland on October 18th! $2 of any bucket in my shop will be donating to the Carter's Crusaders fund. 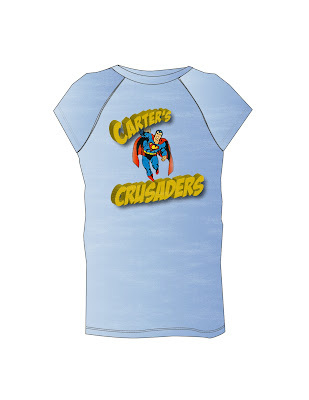 And if you click the above button, it will take you to ALL of the items that are currently listed on Etsy for Carter's Crusaders! PS How cute are these shirts? Erin will be selling these in her shop soon! Keep an eye out for them and thank you so much in advance for all your help! Tees are FINALLY available for purchase on my blog!! Shirts are at the printers and will ship early next week!